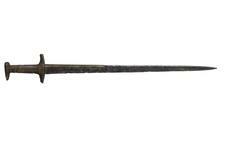 A baselard dagger has a long blade and might be an intermediate between a long dagger and a short sword. 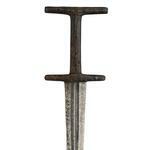 They are identified through their capital letter 'I' shaped hilt. 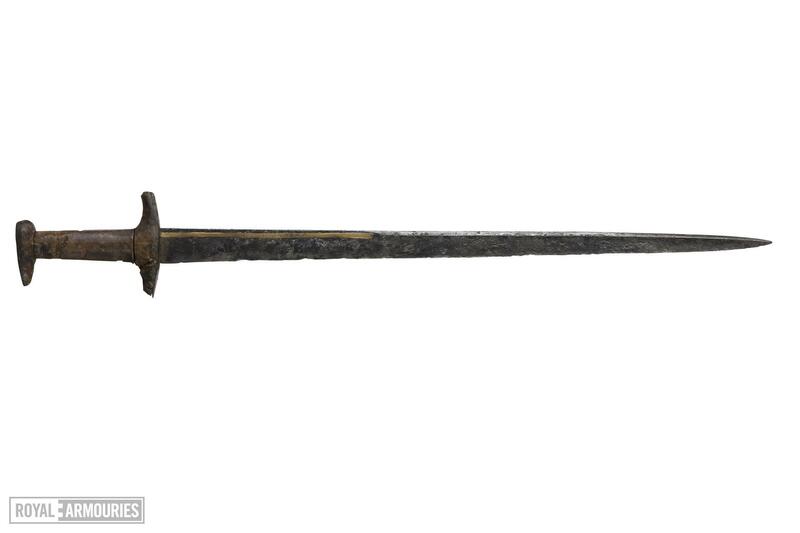 Baselard daggers appeared in the late-13th century. They first emerged in south Germany or northern Italy and then spread rapidly throughout Europe. As well as the military type, there was a civilian version of the dagger. In the 14th century it was a popular sidearm of civilian society, particularly in England. 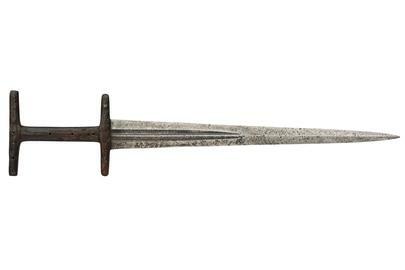 The popularity of the baselard dagger decreased in the late-15th century. Like most daggers, the baselard dagger was particularly useful for close-quarter combat. 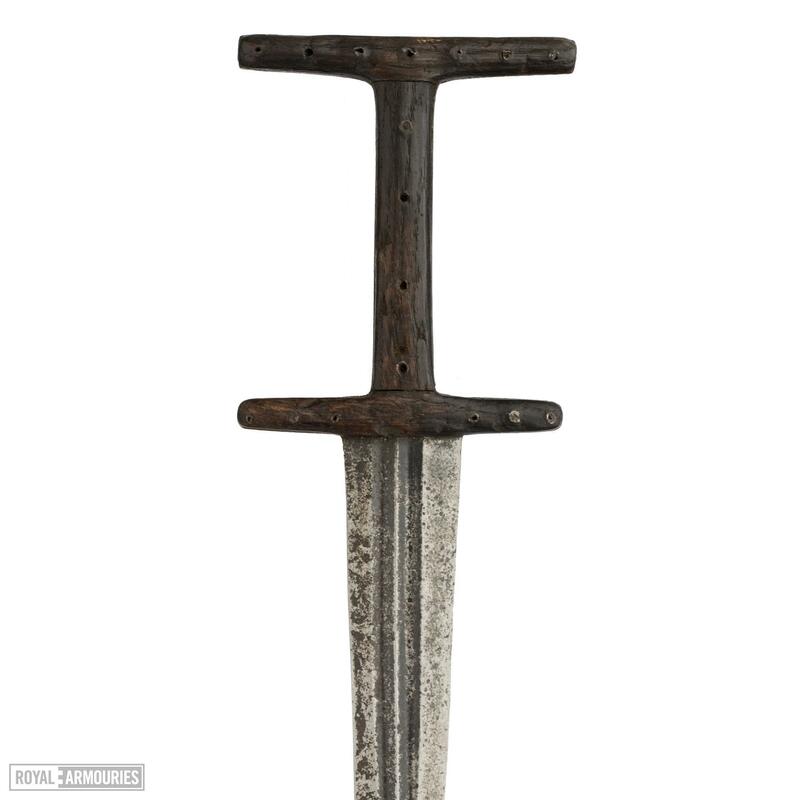 Despite being more similar to a short sword than many daggers, the baselard would still typically have been used as a back-up weapon in hand-to-hand combat. 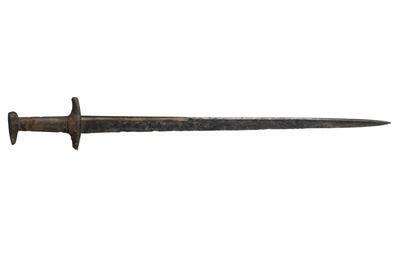 Military daggers were usually a weapon of last resort. Baselard daggers mostly had double-edged blades (sharp on both sides). 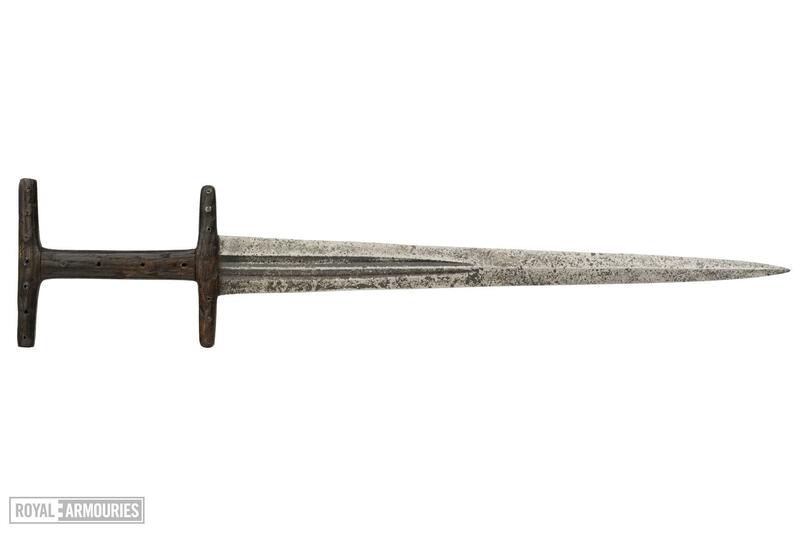 Carrying a dagger with a double-edged blade meant the soldier could use it for both cutting and thrusting.